Lalique was born in 1860 in the Champagne region of France. As a 16-year-old he started as a jewellery apprentice and opened his own Paris workshop in 1885. 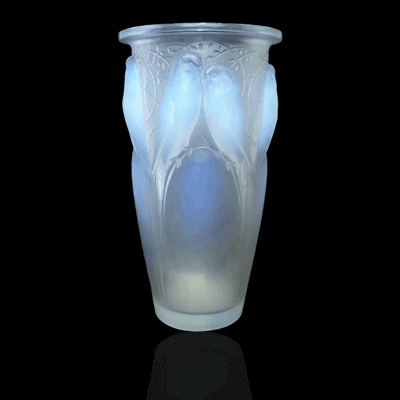 Rene Lalique began experimenting with glass in the 1890s. He was known as a premier Parisian jeweller through 1905, when he opened a new shop that exhibited glass pieces along with jewellery. Since his new shop was located near the shop of Francois Coty, a well-known perfumer, they began a collaboration. In 1907 Lalique began the production of glass bottles for Coty perfumes. Rene Lalique opened his first glassworks in 1909. He hosted a Lalique Glass exhibition in 1912 at his Paris shop. The glassworks produced items for war efforts during World War I. From 1919 to 1921, Lalique developed a new factory in the Alsace region of France. He produced decorative hood ornaments from 1925 to 1931. At the 1925 International Exposition in Paris, he reached the climax of his glassmaking career, establishing the Art Deco style that mainly contrasted between frosted and clear glass. Lalique was one of the world’s premier glassmakers during the 1920s and 1930s. His name was and still is associated with luxury. He died in 1945, and his family ran the business until it was sold in 1994. Rene Lalique was famous for his artistic use of glass for perfume bottles, hood ornaments, vases, bookends, inkwells, and paperweights. He also used glass for interior design in high-end environs like the Orient Express and luxury ocean liners. Collectible Lalique items that are most popular today include vases, glasses, perfume bottles, hood ornaments, and other decorative items. Lalique became highly collectible in the 1960s with the revival of Art Deco and Art Nouveau styles, and demand has been rising in recent years. The earliest pieces and pieces in the best condition have the highest value. 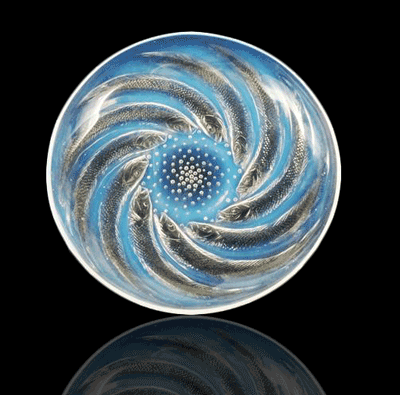 If you would like a free, no obligation valuation of your Lalique please use the form below. You can also email details about your lalique to [email protected] or call us on 01270 440357.